The Global Climate Action Summit is September 12-14 in San Francisco. 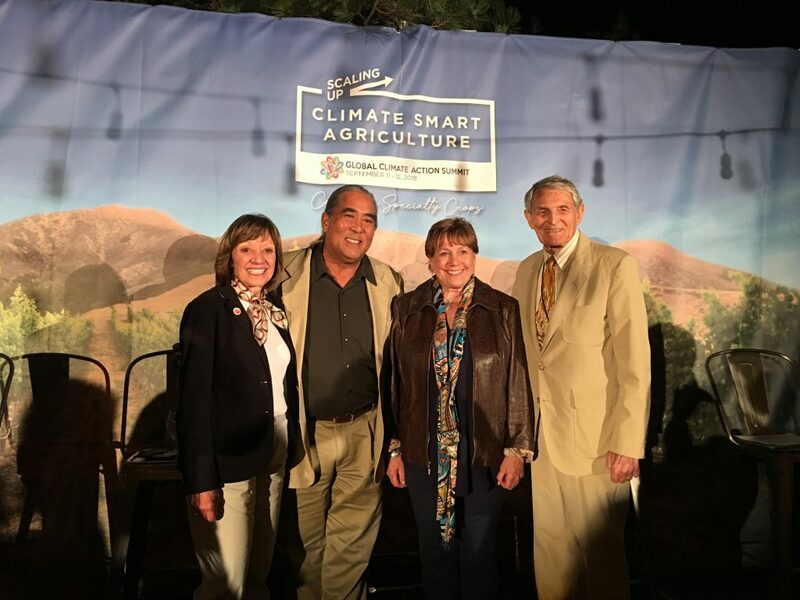 The affiliated Scaling Up Climate Smart Agriculture Event in Sonoma County is connecting climate stakeholders including farmers and ranchers, multinational corporations, foreign governments and non-governmental organizations to further the role of agriculture in climate discussions. This entry was posted in Climate Change, Climate Smart Agriculture, Healthy soils. Bookmark the permalink.